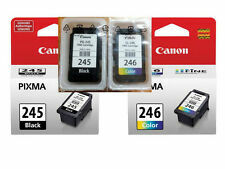 Canon PIXMA MX492 Black Wireless All-In-One Inkjet Printer. Condition is New. Shipped with USPS Priority Mail. New never been used before. Got it on sale, but I have no use for it. First come first serve! Print documents, photos, and other content in high quality with the Canon PIXMA MX492 Black Wireless All-In-One Inkjet Printer. You can quickly choose color or black and white when making copies. You can also scan documents in a maximum resolution of up to 600 x 1200 dpi. This Canon printer easily connects to a wireless internet network for seamless connectivity with PCs and gadgets. For the price excellent printer scanner copier combo. Fast easy setup with a little too much bloatware . IF you only print 100 pages a year excellent value but don't expect it to run a office otherwise theres gonna be a loooong line at the copier! Very easy and quick to set up. Print and graphic quality appears very good, although a little slower than expected, but great for home applications (as I wanted). Great value for printer, scanner, copier, fax machine. Would highly recommend for small office or home use. Purchased this as a replacement for multiple printers that were no longer working. Set up was easy enough through Google. Printer is in office upstairs. Laptop and other devices are downstails. No problem getting items printed. Good printer for the money! I was a little skeptical after reading some of the reviews but I decided to take a chance anyway. I'm glad I did. I only had a slight hiccup in the installation but it was because I somehow missed a section the first time I went through the CD which was included. Once I went back through it and did that step, everything worked fine. The instructions could be a little clearer I guess, but I was still able to follow the pictures for the setup. I didn't have to call anyone for help. This seems like it is going to be perfect for me as I only print emails and coupons , etc. from my PC a couple times a month. BTW, I have Windows 7 and the wireless is working with no problem.